Home › All About God › What is the Meaning of Gold, Frankincense, and Myrrh? What is the meaning of the three gifts that the wise men gave to the baby Jesus? Gold, frankincense, and myrrh were valuable items monetarily, and were thus fine and expensive gifts. But more than that, they had a ritual significance in the ancient world. Gold has always been an enduring symbol of incorruptible love, while frankincense and myrrh were ingredients in sacred incenses and anointing oils. The wise men themselves undoubtedly considered gold, frankincense, and myrrh to be spiritually significant gifts for “the child who has been born king of the Jews” (Matthew 2:1-2). Here is the spiritual symbolism of these three gifts based on their roles in the Bible and on Emanuel Swedenborg’s explanation of them as found in the Bible. In all ages, gold has served as an article and store of enduring value. Unlike silver, its lesser cousin, it is highly resistant to oxidation and corruption. It is soft and malleable, warm and beautiful, and holds its value over long periods of time even as other goods and commodities rise and fall. As such, gold has become a universal symbol of love. 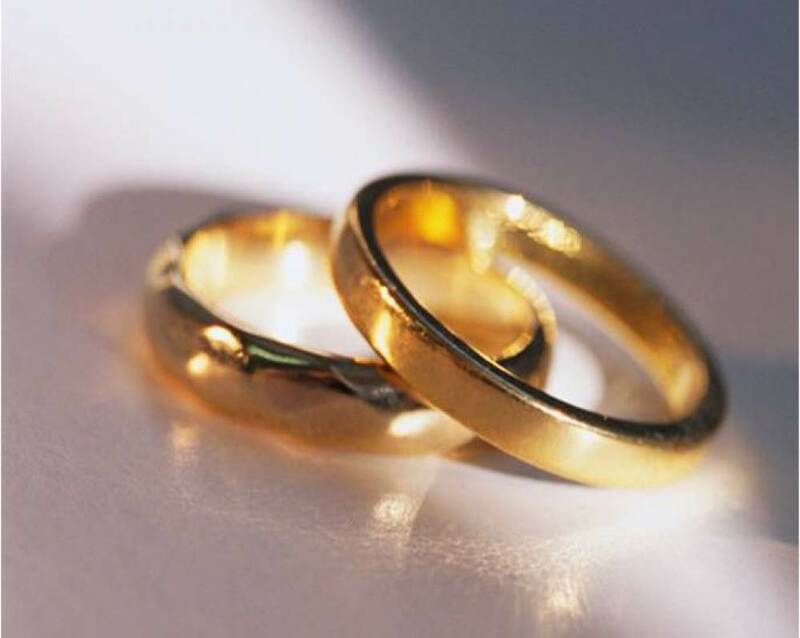 For example, gold is commonly used to make wedding rings, serving as a symbol of the love between the two partners. In a religious context, gold especially symbolizes spiritual and heavenly love—and, of course, divine love. That is why the most sacred articles of the Tabernacle were to be made of gold, overlaid with gold, or interwoven with gold (Exodus 25:10-40; 28:6-30; 30:1-10), and also why the streets of the Holy City, New Jerusalem, are made of “gold as pure as glass” (Revelation 21:18, 21). When the wise men gave the infant Jesus a gift of gold, it symbolized the gift of spiritual love that we are to offer to Jesus Christ. 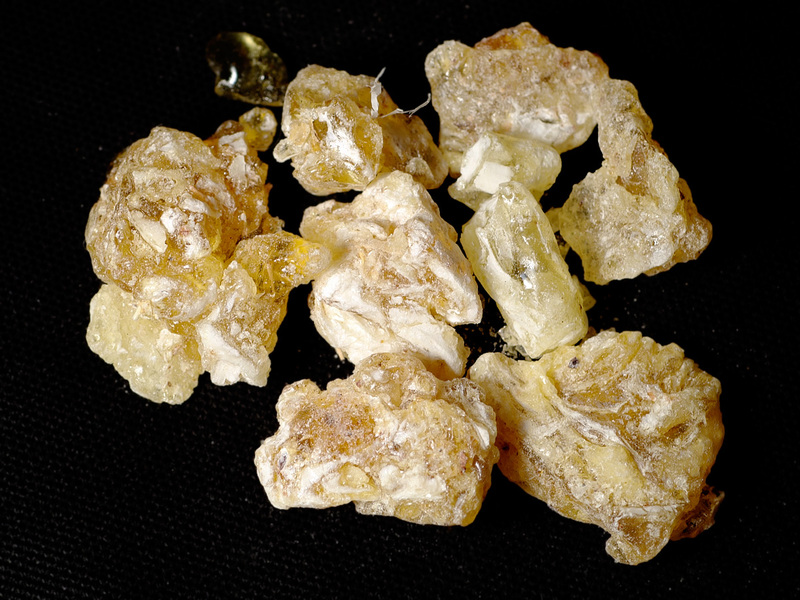 Frankincense is an aromatic oil that has been used in incense, sacred oils, and perfumes for thousands of years. Frankincense was one of the ingredients of the sacred incense described in Exodus 30:34-38, to be placed in front of the ark of the covenant within the Tent of Meeting in the Tabernacle. Frankincense was also to be offered with grain offerings as commanded in Leviticus 2. When incense is burned it produces an aroma, and an aromatic smoke that rises up into the air. It is thus seen as a symbol of prayers and offerings that are pleasing to God. In the original languages of the Bible, air, or breath, is the same word as spirit. Sacred incense that perfumes the air is therefore associated with the spirit of truth (see John 15:26 and John 20:22) from God. Spiritual truth is truth that comes from God. For Christians, spiritual truth is especially the teachings of Jesus Christ as given in the Gospels. When the wise men gave the infant Jesus a gift of frankincense, it symbolized the gift of our devotion to spiritual truth and to the teachings of Jesus Christ. 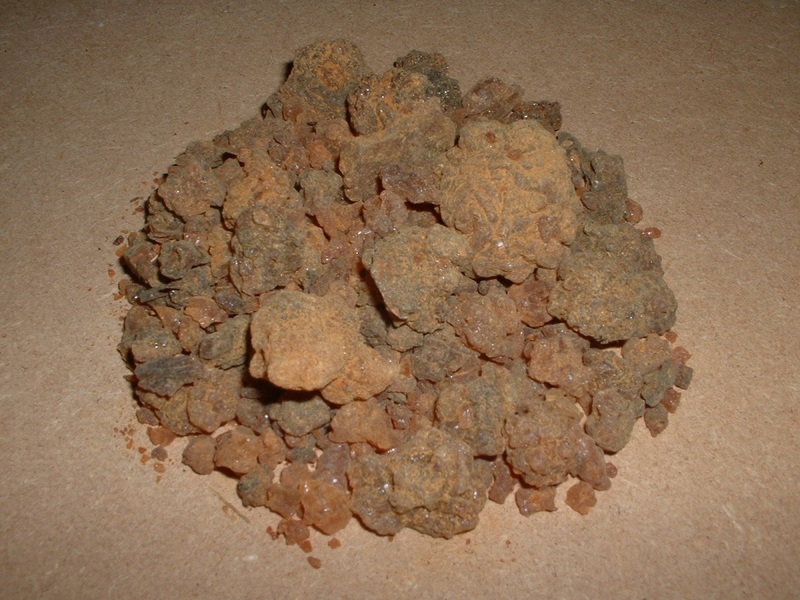 Myrrh is an aromatic resin that has also been used for thousands of years in incense, sacred oils, and perfumes, as well as in medicines. Myrrh was one of the ingredients in the sacred anointing oil described in Exodus 30:22-33. This sacred oil was to be used in anointing the Tent of Meeting and the sacred articles in it, as well as to anoint Aaron and his sons for service to the Lord as priests. This use of myrrh points out its symbolism of consecration to active service to the Lord. When the wise men gave the infant Jesus a gift of myrrh, it symbolized the gift of our willingness to serve Jesus Christ actively in our lives by living according to the truth that Jesus teaches. This especially means loving God above all and loving and serving our fellow human beings, as Jesus taught (see Matthew 22:34-40 and Matthew 25:31-46). The gift of gold = offering the love in our hearts to Jesus. The gift of frankincense = offering the truth in our minds to Jesus. The gift of myrrh = offering the service of our hands to Jesus. Whether or not the wise men themselves understood the full spiritual significance of their gifts, for Christians today they symbolize offering our entire being, heart, head, and hands, to Jesus Christ. We do this by loving God and the neighbor, believing in the truth that the Lord teaches us in the Bible, and living from that love, and by that truth, in our everyday lives. Thanks for sharing the meanings for us behind the gifts of the wise men from the east. Looking at your picture. Are you getting younger? Or is the picture staying the same. Whatever. Thanks again for teaching on this. Happy New Year to you and your family. Love you. Nice to hear from you! Thanks for stopping by. Just know that flattery will get you nowhere! 😉 But thanks for your kind words. Here’s wishing you and yours a wonderful New Year! Thanks for the insight.i know that every word in scripture has meaning. This lets me know that God never changes His plan has always been the same. Thanks for stopping by, and for your comment. I’m glad the article was so meaningful to you. Godspeed on your spiritual journey! A wonderful exposition. God bless you. Thanks for stopping by, and for your kind words. I’m glad you enjoyed the article. Thanks for stopping by, and for your good words. Godspeed on your spiritual journey! Could Gold mean Tumeric. They called Tumeric gold? Though the “gold” in “gold, frankincense, and myrrh” could mean turmeric, as some scholars believe, I doubt it. Gold has a very strong presence in the Bible. Most often it is used in contexts in which it couldn’t possibly be referring to a spice, but had to be referring to the metal gold. For example, the sacred furniture in the ancient Tabernacle and Temple were overlaid with the metal gold, not with a spice. And when Jesus said to his disciples, “Take no gold, or silver, or copper in your belts” (Matthew 10:9), he was clearly talking about metals, not about spices. So although it’s possible that it means turmeric, I think it’s more reasonable and natural to read it in its plain meaning of gold, the metal. I dont understand why the wisemen never went back to herod. In 1 edition of the bible it says that herod summoned the wisemen to find wher the child was so that he too can worship him. What if herod would have really worshipped jesus had the wisemen went back and told him where the child was. Could it be that herod turned out to be bad because the wisemen never went back? For Herod, the news of an “anointed one” (the original meaning of “Messiah”) was a threat to his throne. If someone not in his family were recognized as the rightful king of Israel, Herod’s reign and his dynasty would be at an and. So when he said to the wise men, “Go and search diligently for the child; and when you have found him, bring me word so that I may also go and pay him homage” (Matthew 2:8), he was being deceptive. His actual intent was not to pay homage to the newborn king, but to eliminate him as a threat to his own throne. That is why the wise men were warned in a dream not to return to Herod and reveal who and where this newborn king was. And in fact, Herod did make an attempt on the life of the newborn king that the wise men had told him about, by ordering the killing of all of the children up to two years old in and around Bethlehem. You can read the whole story in Matthew 2:13–18. So no, Herod didn’t turn out to be bad because the wise men never went back. It says Herod was “infuriated” when he realized that the wise men had tricked him, and then ordered “the massacre of the innocents.” If his intention had been to give homage to the newborn king, he would not have been infuriated, and he would especially not have tried to kill the infant Jesus. Instead, he would have continued to search for him, and would have gone and given him homage according to the lie that he had told to the wise men. People who want to give homage someone do not then turn around and order a massacre with the intent to kill that person just because they’re getting annoyed and frustrated about not being able to find him. You don’t kill someone you want to honor. Herod was a liar from the beginning, with evil intent from the beginning. That’s why God warned both the wise men and Joseph against him. Thanks for stopping by, and for your kind words. I’m glad the article was helpful to you! Thanks for stopping by. I’m glad the article was helpful to you. Godspeed on your spiritual journey! I always thought that Gold represented kingship, frankincense represented priesthood as both these gifts represent Priest-king and the last one myrrh is the odd one out repenting death. It was used as an embarming tool for burial. That was to remind us that we are born to live whereas He came to die si that we may live. Thanks for stopping by, and for your comment. There have been various interpretations of what the three gifts represent. Sometimes they’re just looking at the same general meaning from a different perspective, such as in terms of people (kings, priests, and so on) rather than more personal meanings (love, truth, service). Petroglyphs and hieroglyphs are typically symbolic and representative images of spiritual correspondences and there are many from different ancient cultures (Mesopotamian/Sumer, etc.) which depict bags carried in the left hand which symbolize knowledge, reason and higher understanding which leads to wisdom. These things man carries with him as an asset or as a traveling companion. In some instances the images are of a priest of some sort anointing a king, so It would be viewed as an offering or as a shared posterity to be presented to those who are deemed worthy to receive them and a King who would entrust himself to be instructed by such priests would accept these things as gifts, offerings or tithes much like the gifts of the Magi who offered Gold, (which in this case represents what is the good of the incorruptible love of God in Christ towards his fellow man, which love reigns in heaven and so also represents kingship as it reigns within one on earth), Frankincense (which represents what is spiritually true and pure as an offering and as a prayer because it conjoins with the deity and thus represents priesthood) and Myrrh (which is the representative of death towards worldly gain and the good works of the hands…the will and understanding as one, which do the good will of God towards man) which these three things are wisdom itself. As when Melchizedek, whom gave an offering of bread and wine to Abram when Abram refused any of the king of Sodom’s possessions or to be sustained by worldly material possessions and was found worthy in the eyes of God, so God inserted himself into Abram by giving him a piece/tenth/tithe of his name and as God said he would be as in the order of Melchizedek, it is God who fully inserted himself (a full tenth) of his name into Christ,Jesus after the temptation in the desert when his worthiness was fully proved and he who is and was and is to come, is a priest and a king forever. Thanks for stopping by, and for your additional thoughts on the meaning of gold, frankincense, and myrrh. Well said! I realize I am poor in explaining what I meant. The ideas come into my mind fully, but i am unable to express them clearly or concisely without going into too much detail and reference. It just so happened I was studying this very thing regarding acceptable offerings when I happily came across your blog, so I responded, but looking at the words now, they seem quite lacking. I apologize for my deficiency. Don’t worry about that. It’s good material. Some readers may just not have quite caught up to you yet.